A gloriously rich and fully sherried offering from one of the best distilleries around. Matured in a mixture of sherry casks, with plenty of first fill Oloroso in the mix. 17 years has given this dram a terrific maturity, packed with dark oaky flavours of dried fruit and winter spice. Sweet nutmeg and almonds particularly come to the fore. Bottled at the slightly higher proof of 43% ABV, this gives the flavours a little edge and boosts the finish of this dram considerably. 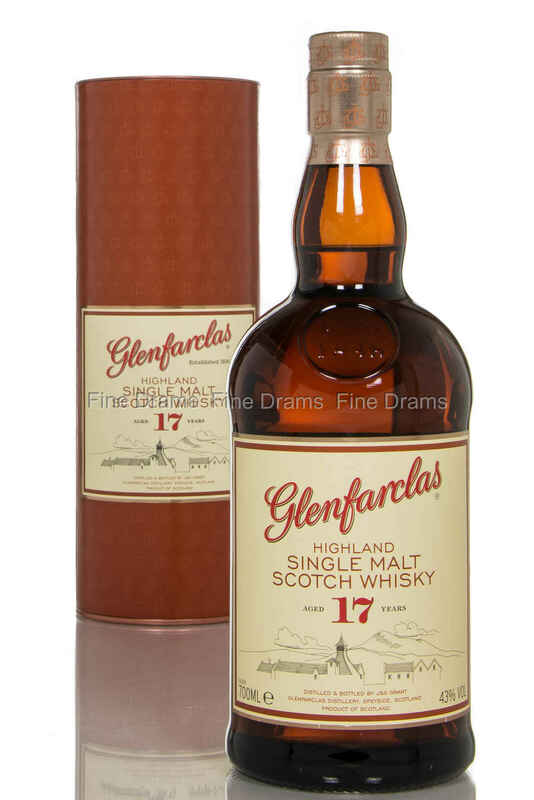 Classic Glenfarclas, this shows off their delicious spirit at a great age, with superb balance between the effects of the oak and the distillery’s house style.